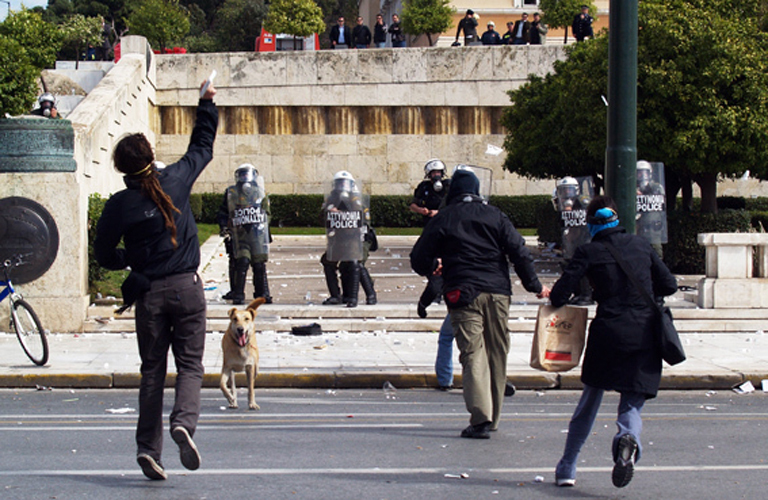 Performative powerpoint presentations, slideshows and video, The Lab, Dublin and various nearby public locations. 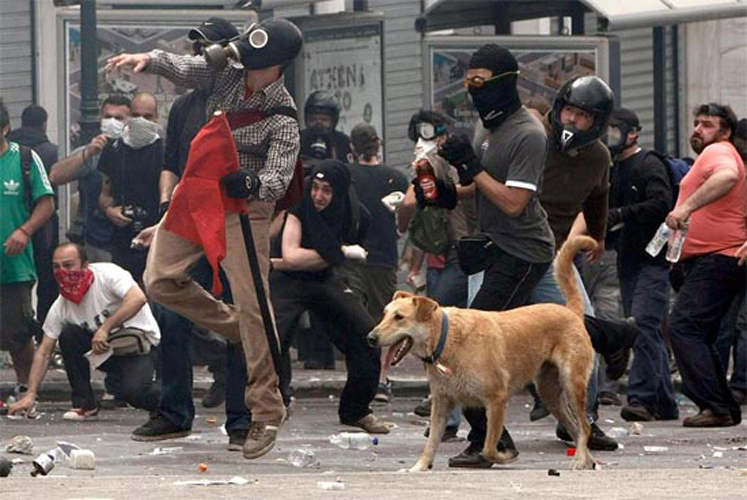 Series of 40 collected press images. 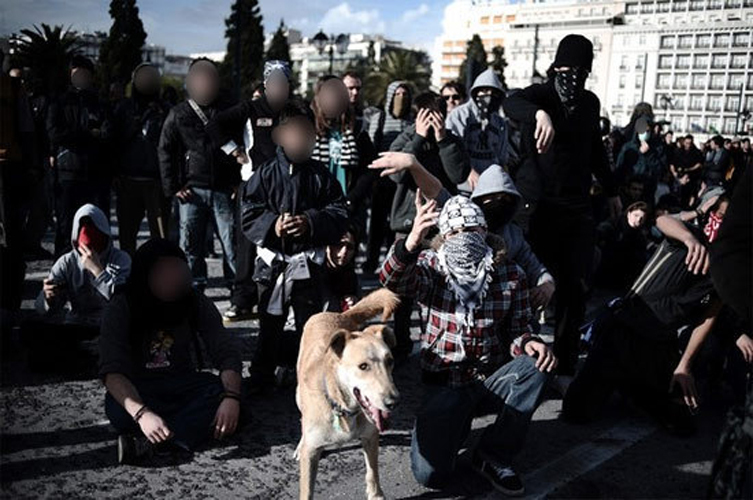 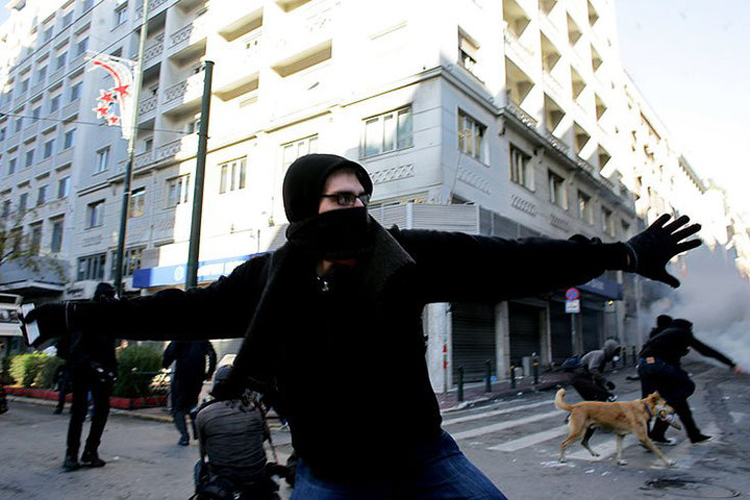 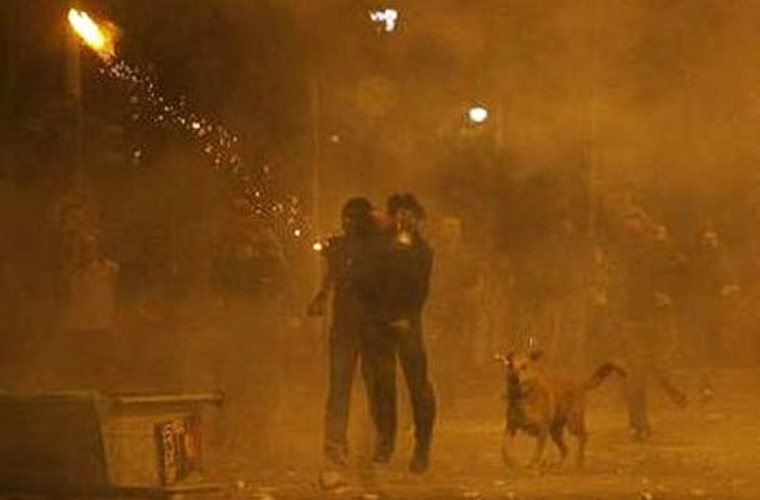 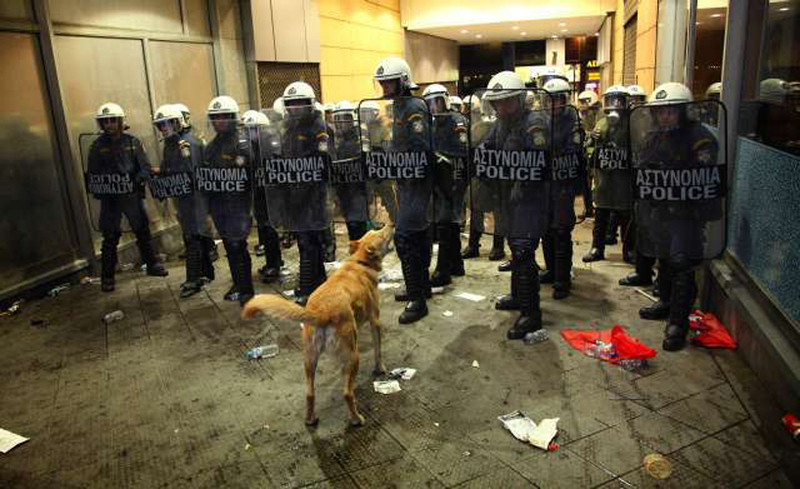 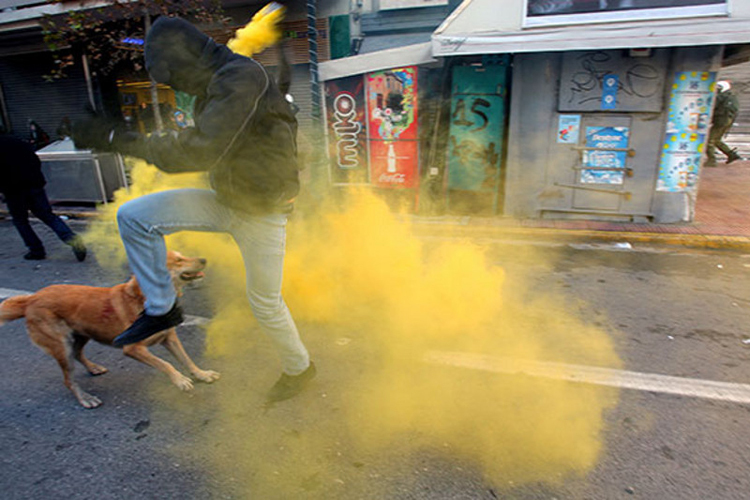 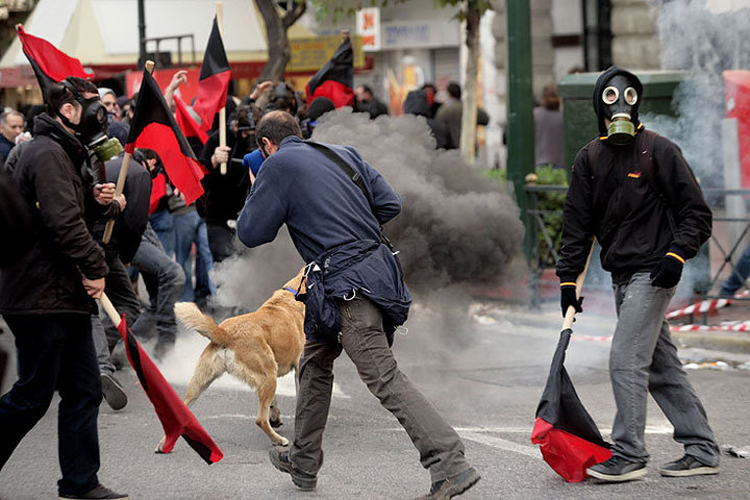 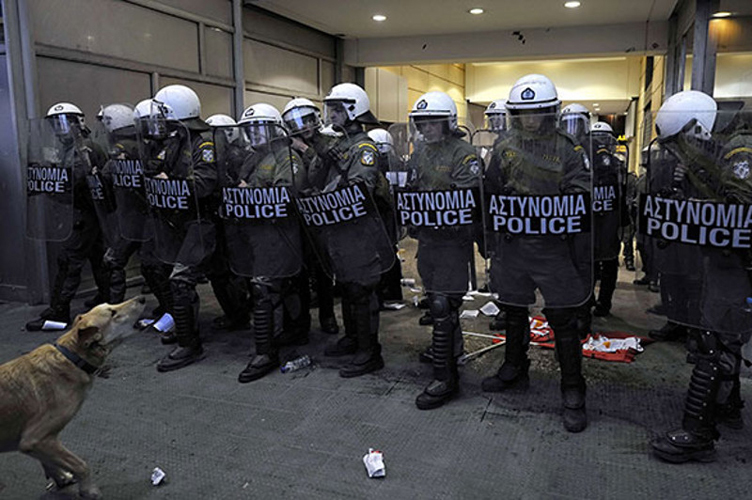 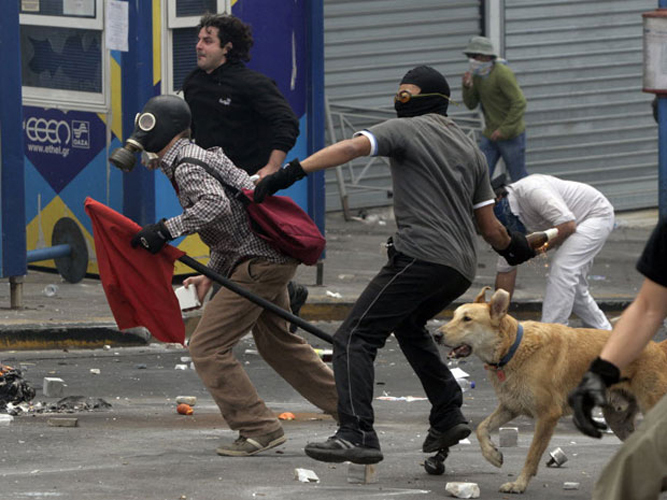 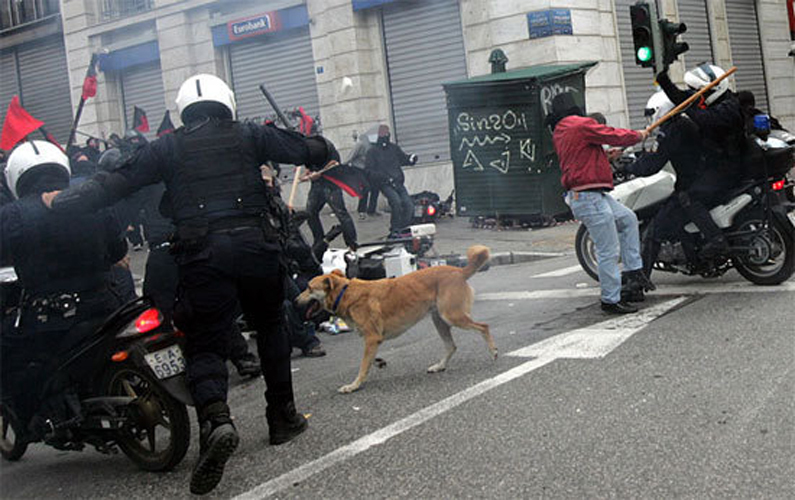 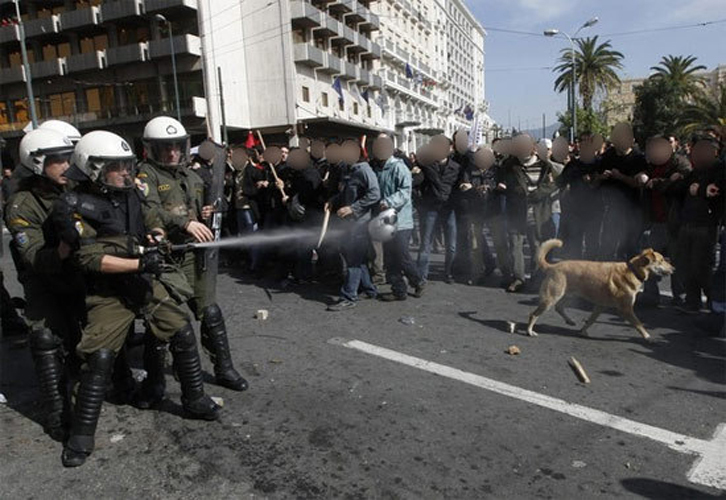 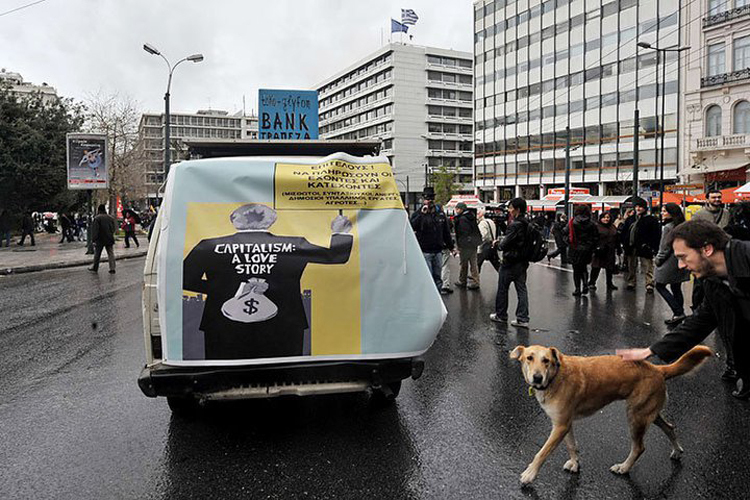 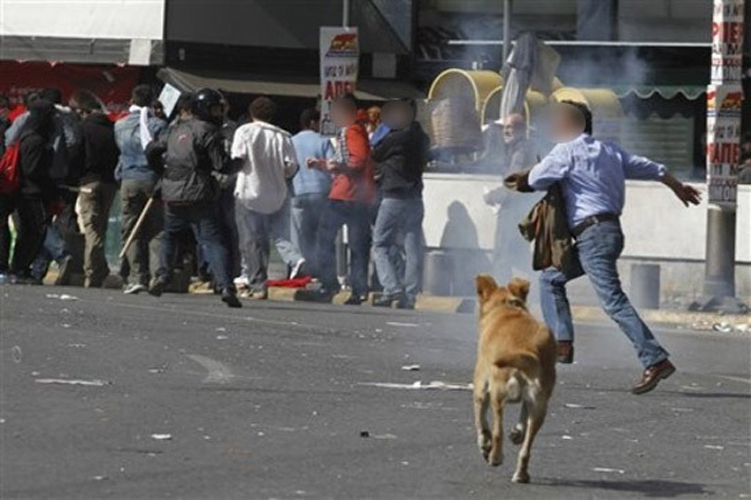 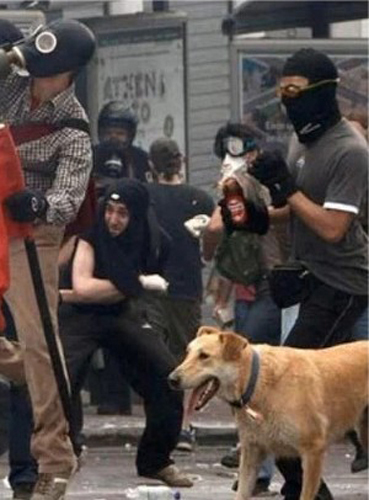 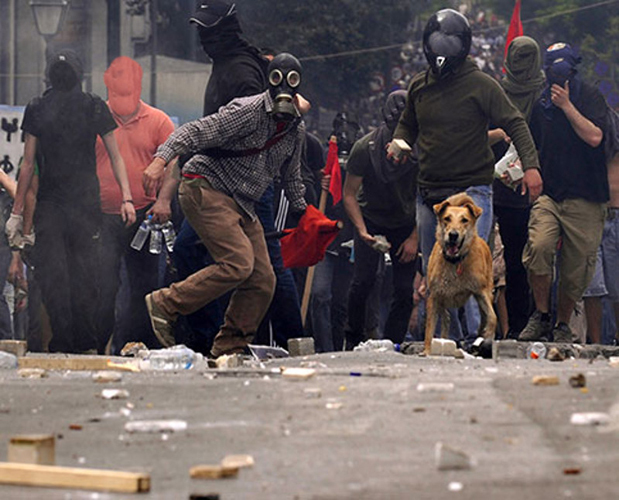 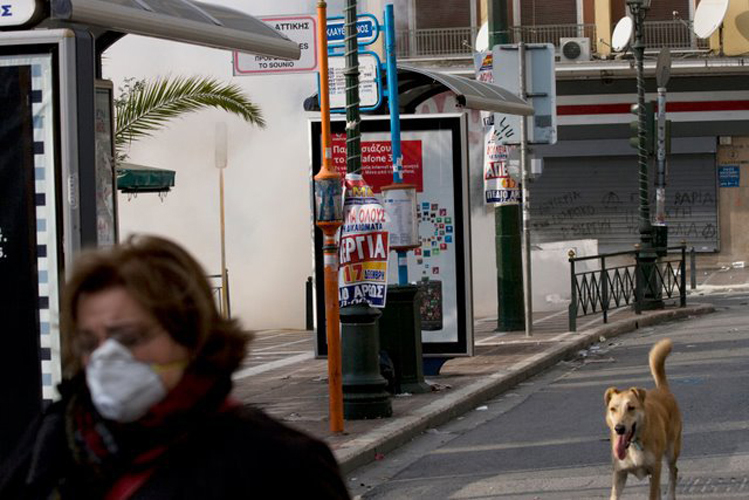 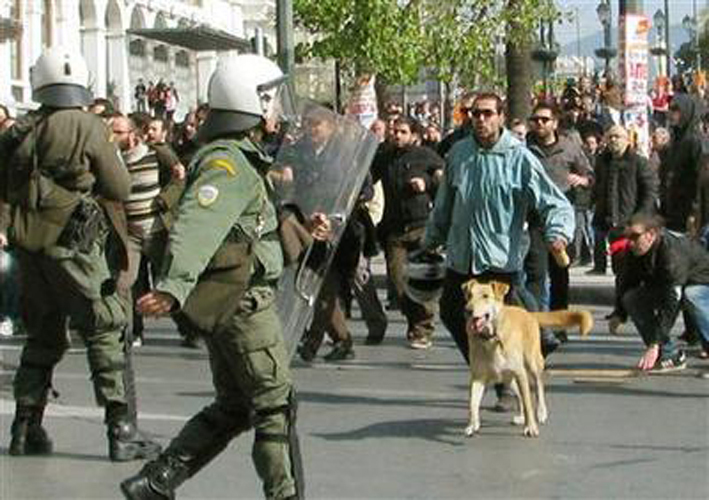 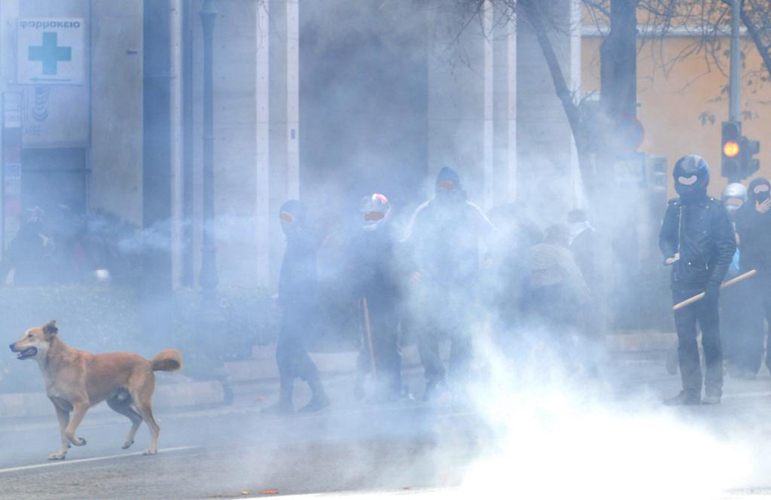 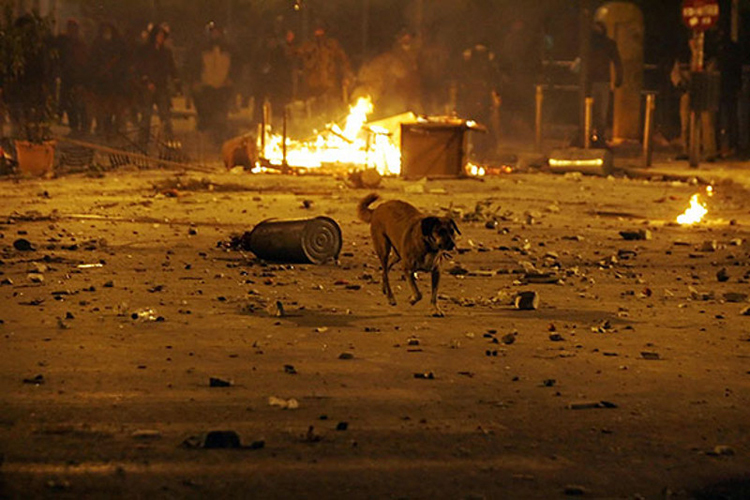 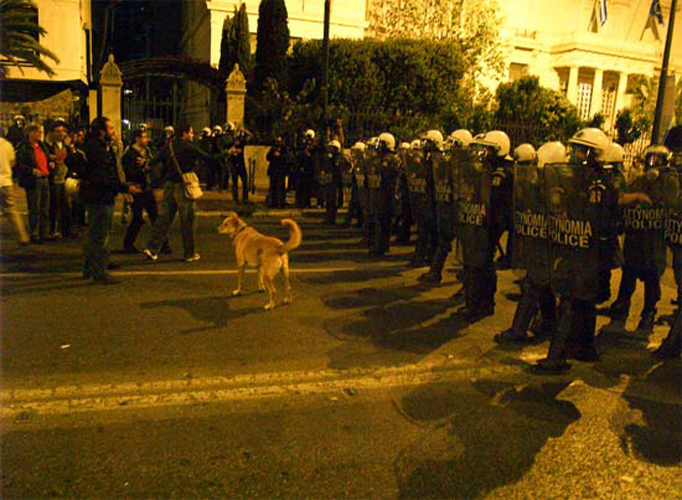 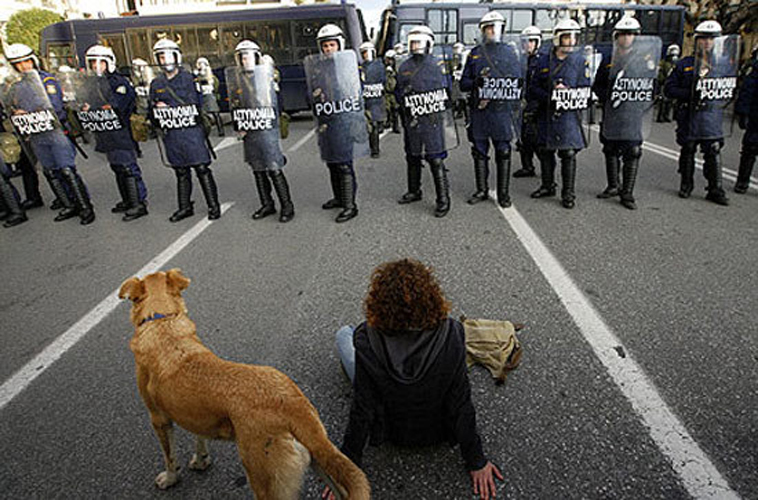 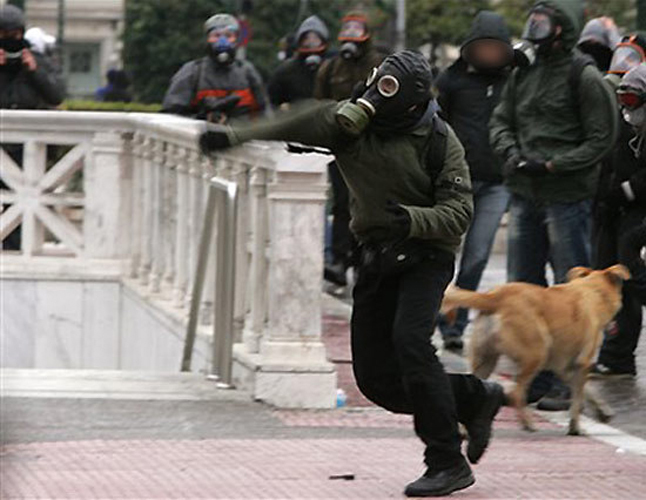 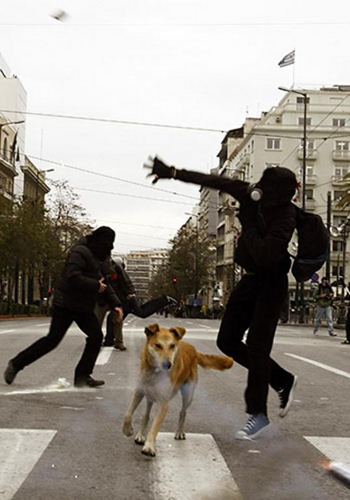 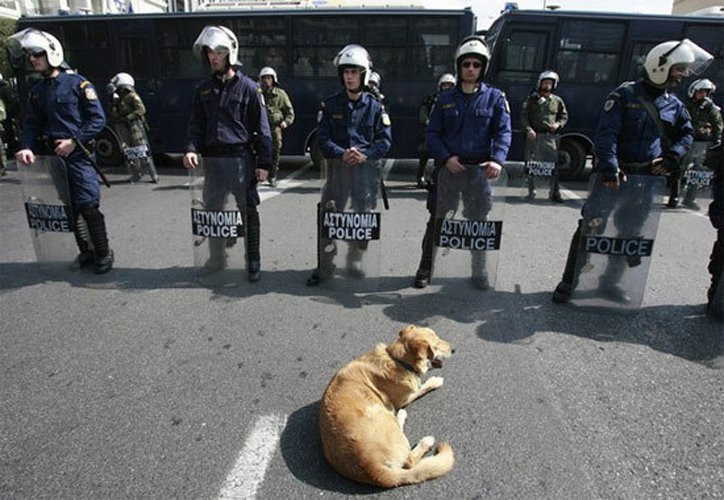 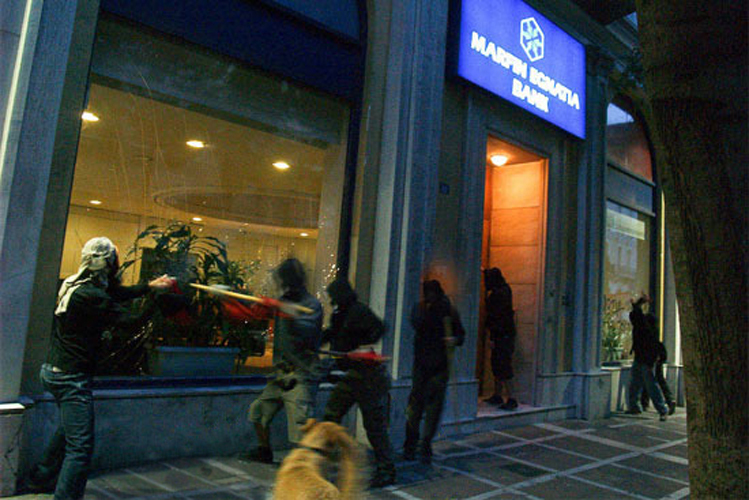 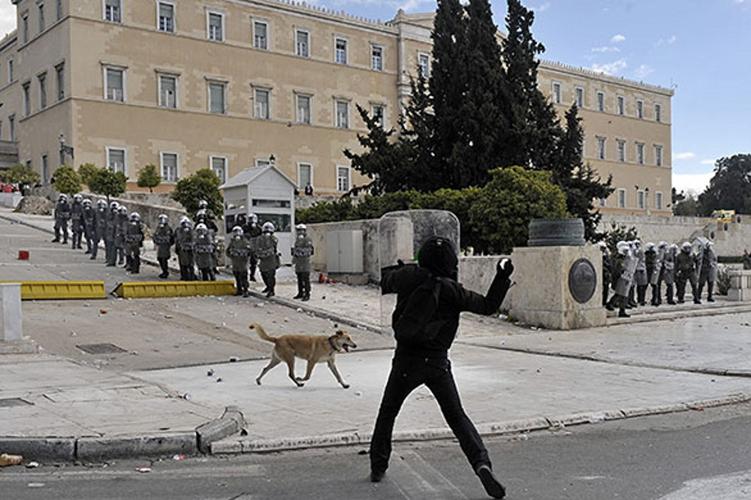 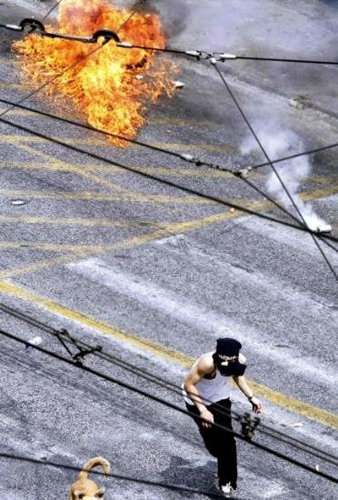 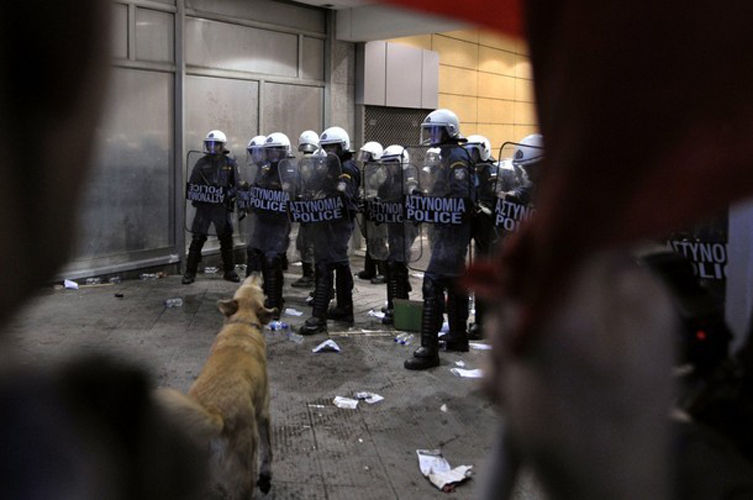 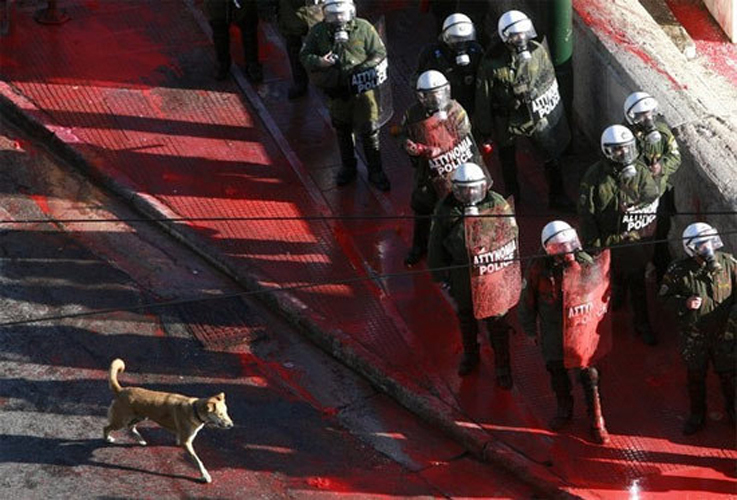 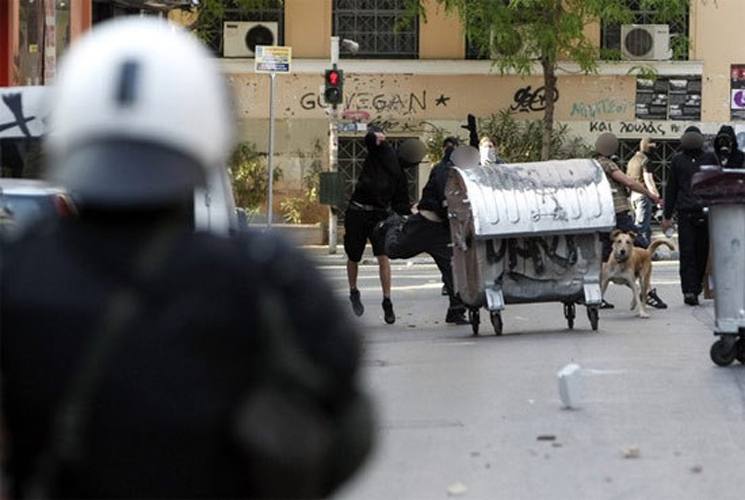 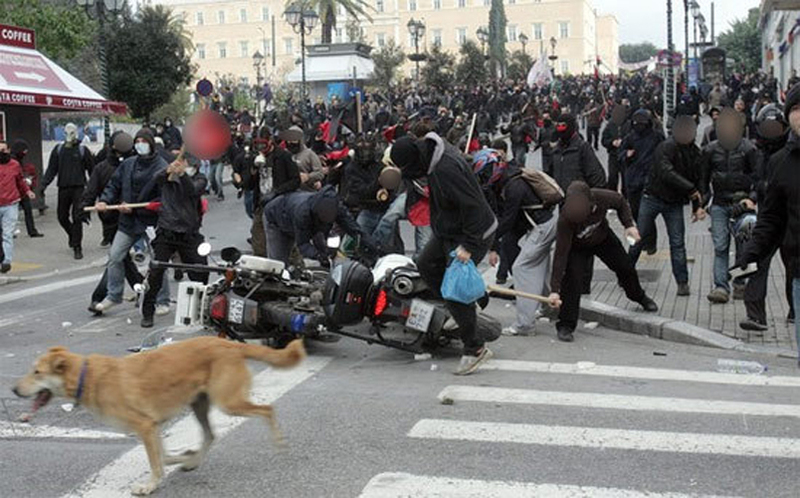 Loukanikos / Kanellos, is a series of images that document the 2010 demonstrations in Athens, Greece. 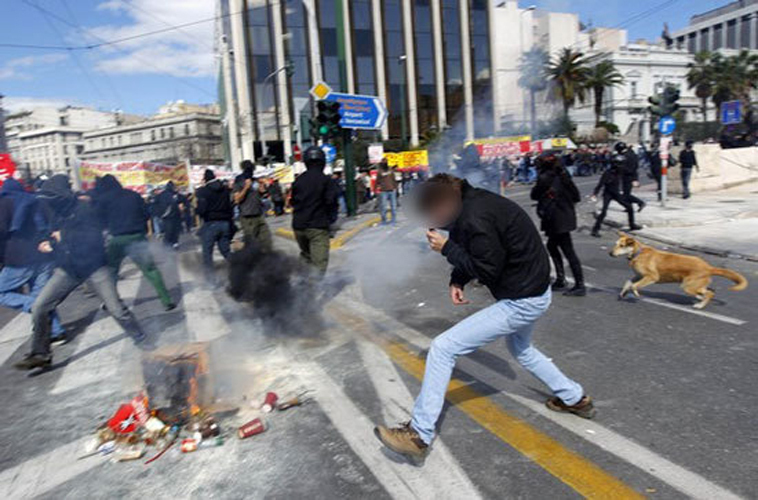 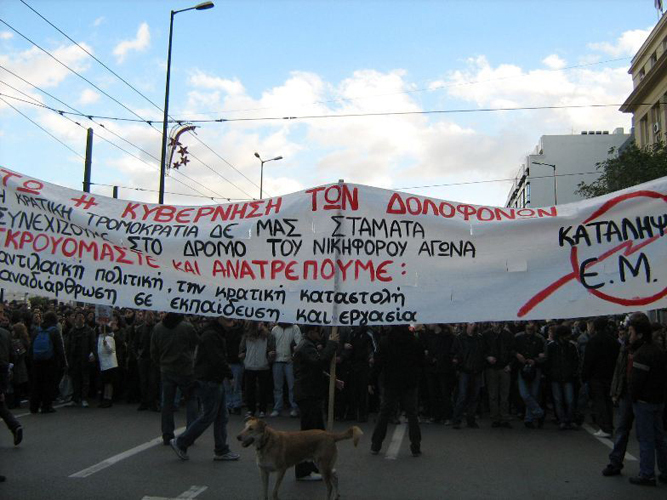 These demonstrations were against the governmental mishandling of the national economy in Greece and were reported in numberous newspapers as a contrast to the lack of action taking place in Ireland. 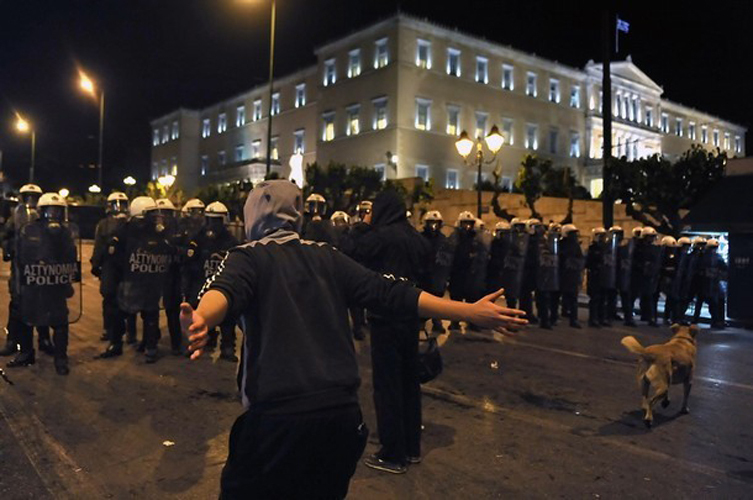 It was reported in the Guardian newspaper that protesters were chanting 'We are not the Irish, we do not sacrifice ourselves for the rich' as they approached parliamentary buildings. 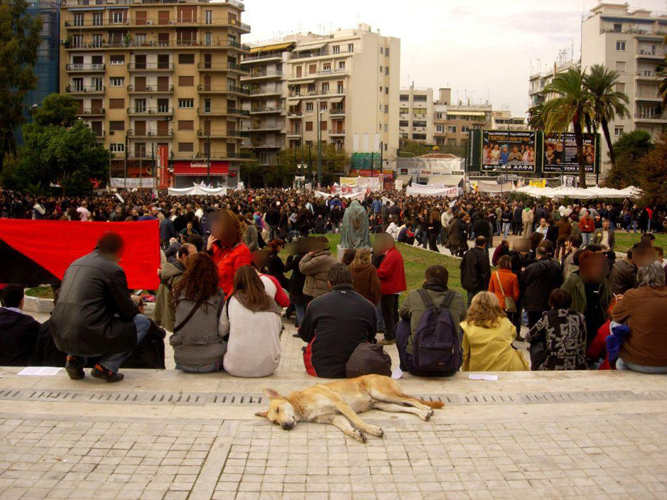 The stray dog reportedly called Loukanikos or Kanellos was used as a central point to make work that was based around the apposing forces involved in this story. 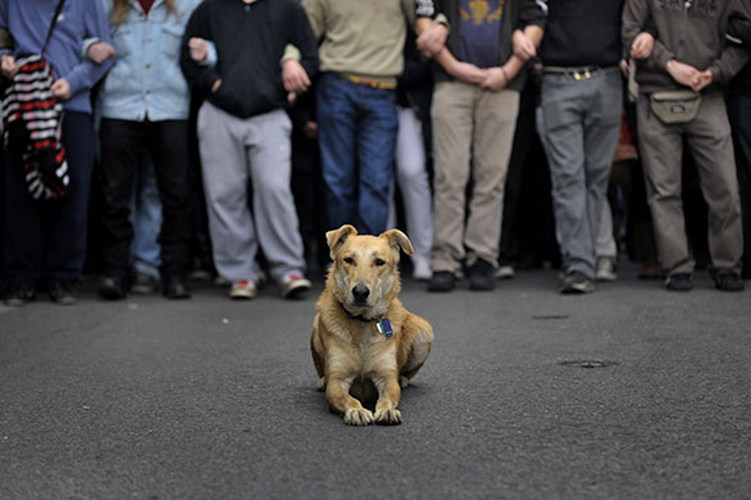 The work took the form of a series of performed powerpoint presentations, exhibited videos and public presentations in The Lab, Dublin and a number of public places around it.